Abstract: P-T pseudosections (quantitative phase diagrams) in the KFMASH, KMnFMASH, NCKFMASH and NCKMnFMASH systems were calculated with PERPLEX and THERMOCALC from garnet-staurolite mica schist originating from the basement of the Pannonian Basin (Hungary) in the P-T range 0.2–1.2 GPa and 450–700 ºC with quartz and H2O in excess. The previously published peak P-T conditions (650±30 ºC and 0.9±0.1 GPa) are confirmed by the resultant pseudosections in all systems with garnet-biotite-kyanite-muscovite-plagioclase-quartz as the stable parageneses. Mineral composition isopleths mostly model the mineral chemical changes. The P-T path outlined in the NCKFMASH system shows that biotite and quartz inclusions in host staurolite with matrix muscovite and plagioclase are stable at 560–650 ºC and 0.35–0.6 GPa. During simultaneous P-T increase garnet started to form at about 0.6 GPa in the garnet-biotite-staurolite-muscovite-plagioclase-quartz field, and then kyanite appeared at the expense of staurolite near the P-T peak. The cooling path passed the garnet-biotite-staurolite-muscovite-plagioclase-quartz field again and ended in chlorite-bearing assemblages. 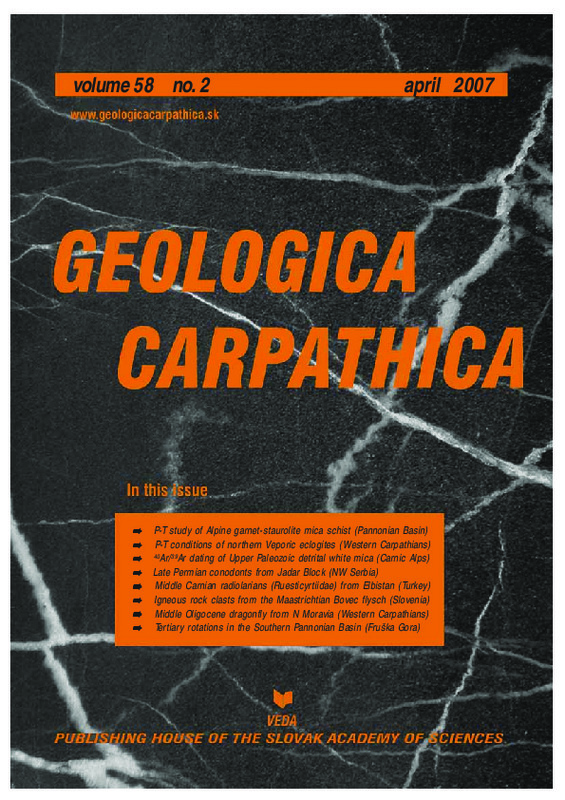 The presented P-T pseudosections in combination with the published Ar-Ar age data on muscovite (85.5±1.2 Ma) support the Eo-Alpine age of amphibolite facies metamorphism in the basement of the Tisza Unit (southwestern part of the Pannonian Basin), but do not exclude the possibility of a polymetamorphic origin (Variscan-Alpine).